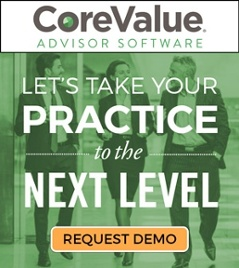 These principles guide CoreValue Advisor Software in achieving its mission. Initiative means we take action without direction from above to improve our knowledge as employees, help the company with its mission, and come up with solutions to problems. With each member of the company taking initiative, the leverage is immense. Initiative has been a hallmark of the American work force and a key reason for our success. Initiative places an obligation on the chain of command not to stifle initiative in subordinates. Innovation means looking at new ways of doing the same thing. It also means knowing which areas are “above the waterline” and appropriate to innovation, having the courage to change, and tolerating failures. Modern markets are extremely complex. Intimate technical knowledge means that each of us is responsible for learning our area of responsibility. We make decisions based on technical reasons, not hope. We understand the details of our job descriptions and the interrelationship of systems. We diligently study. Courage means we choose to do the right thing, even if it may be uncomfortable. It means not just doing or saying what subordinates, peers, or superiors want to see or hear. It means admitting mistakes, even if ugly. Commitment means we are present when we come to work. We give it our best. We choose to be here. Continuous improvement is how we get better. We continually seek ways to learn from processes and improve them and ourselves. The executive team has the obligation to develop and institute mechanisms (such as conducting debriefs) to achieve continuous improvement. Integrity means we tell the truth to each other and to ourselves. It means we have a grounded base of reality and see things as they are, not as we want them to be. Integrity means we participate fully in debriefs, allowing improvements to be based on facts. We encourage those below us to take action and support them if they make mistakes. We employ stewardship delegation, explaining what we want accomplished and allow flexibility in how it is accomplished. We work as a team because success in one area promotes success for us all. We work as a team, not undercutting each other. The executive team is obligated to implement mechanisms that encourage and reward teamwork. We back each other up in a positive way. We exercise participative openness: freedom to speak one’s mind. Additionally, we exercise reflective openness, which leads to looking inward. We challenge our own thinking. We avoid the trap of listening to refute. Timeliness means we do things on time: start work on time, finish projects on time, are ready to start meetings and trainings on time, and achieve goals on time. Timeliness also recognizes that succesfully accomplishing most things faster is better, and that working to reduce inherent delays and time lags results in a more effective organization. Practice Leadership at Every Level!